Home » Chartered Institute of PR » Diversity and inclusive communication – why would you not do this? 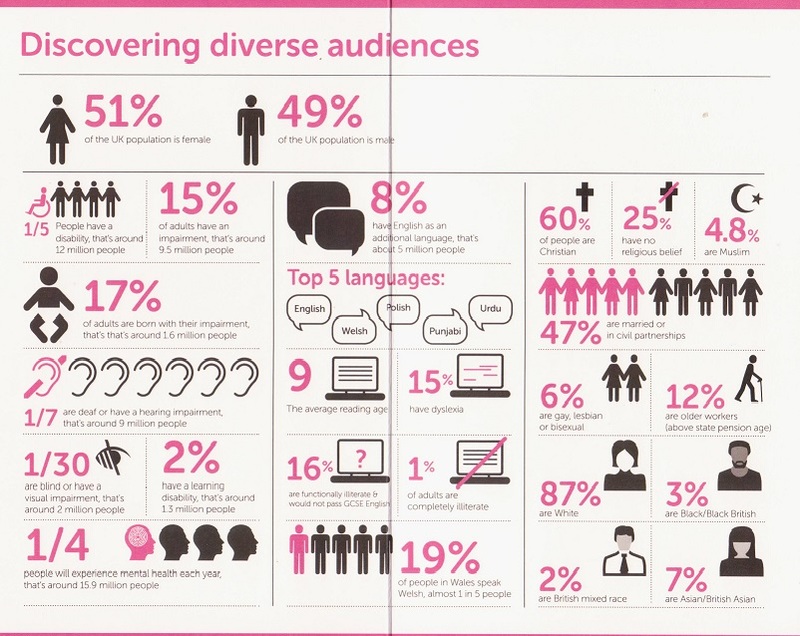 Diversity and inclusive communication – why would you not do this? I am a firm believer that you are never too long in the tooth to learn something new, and yesterday was my time to learn about diversity and inclusive communication. I am committed to continuing my professional development, and was aware my knowledge of diversity and inclusive communication was non-existent. Sure, I understand the need to reach as many target audiences as possible, but I am ashamed to say that up until now I have not actively considered inclusivity in any campaign plans. My view changed after attending the inaugural CIPR Diversty and Inclusion Summit, organised by the CIPR Diversity Working Group, chaired by Catherine Grinyer of Big Voice Communications. I had no expectations of what I would come away with, but hoped to at least be more aware of the importance of diversity and inclusion in communications planning. The Summit delivered this in spades and gave me lots of food for thought. The language used in collateral needs to be simple (obviously this depends on who you are targeting) as the average reading age of people in the UK is 9 years. The speaker I got the most from was Robin Christopherson, Head of Digital Inclusion, at AbilityNet. One thing Robin said struck a chord: “Technology is empowering disabled people” and he went on to talk about apps and software that make life easier for disabled people. the Talking Goggles app for smartphones ‘sees’ an object, image or text, and instantly tells the blind person what it is. With so much technology freely available, I cannot think of a logical reason for diversity and inclusion to be omitted from communications campaigns. In fact, it would be careless to do so. With all the solutions/tools available that can be easily used in a campaign for it to be inclusive, it is more cost-effective to be inclusive from the beginning rather than retro-fit a situation down the track. Inclusive organisations are more productive. The most productive companies have a gender diverse board. Homogeny of thought is dangerous and detrimental. Diversity and inclusion is not an HR responsibility. It belongs to everyone and is definitely a communications responsibility. Diversity is the mix. Inclusion is making the mix work. 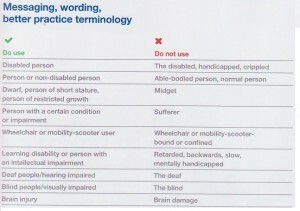 Accessibility is a legal requirement. My promise: If you are one of my clients, I will include ways to reach diverse audiences in my thinking. I do not profess to now be an expert on inclusive communication (although I know someone who is) but my awareness of what needs to be done and ideas for what to do are certainly greater than previously. Join the conversation on Twitter to find out more about diversity and inclusive communication, use #inclusivecomms and #diversityPR.